Look at the course at the specific university. Research the entry requirements for each course. Go and visit the university! Even though the subject may be the same, each university has a slightly different course. It could be the units covered, the choice of options you have and can make and the variety of these. It could be the length of course e.g. 3 or 4 years or, as my dilemma was, 5 or 6 years. It could even be whether you can study abroad. Many universities now have partner universities abroad so you can do a year of your course over there, or electives where you study elsewhere for a certain period of time. Similarly, each university has different requirements. Look at what qualifications or education achievements you have and cross out the ones in which you CAN'T apply for. Then look at the 'extra' requirements and go out and get them. Some may require extra work experience or jobs or volunteering for example. I seriously had absolutely no idea which university I wanted to go to or even what type: city or campus based? The only way I felt I could decide was by actually going and looking around the university myself. I ended up going and looking at 15 (ish?) universities and it was the best thing I could have done. If you get a feeling that you love the place, trust it. 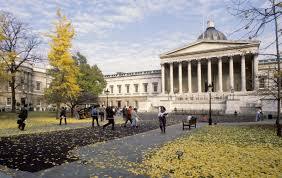 There were a number of universities that when I got there it was just a no; others I thought, 'Wow! I want this'. You will only feel that way by visiting the university yourself. Finally, the best thing I did was I made a spreadsheet of every university, the grades needed, the process and other key information like the application process. I found this so easy to just look at and cross out the ones that I didn't like. Instead of looking up pages after page, every time, I just had one clear document to compare them all. Most universities have a page online about how they do the process and it's usually quite clear.